Your system never sleeps. Make sure it's protected sun up till sun down and all through the night with 24x7 Performance and Availability Monitoring. What is 24x7 Performance & Availability Monitoring? 24x7 Performance & Availability Monitoring is designed to keep your corporate systems healthy around the clock, 24-hours a day, 7-days a week. Why is 24x7 Performance & Availability Monitoring Important? 24x7 Performance and & Availability Monitoring allows you to analyze network performance in real-time. When an issue is detected, you're immediately alerted and can reply in real time. Being able to detect threats in real-time means you can be informed on the go and instantly take a corrective or defensive stance. You can save both time and money, and you no longer need a physical system administrator to be present all the time to perform manual checks. Another benefit of 24x7 Performance & Availability Monitoring is the ability to use reporting to identify patterns and trends in system performance as well as the ability to determine the need for upgrades or replacements. 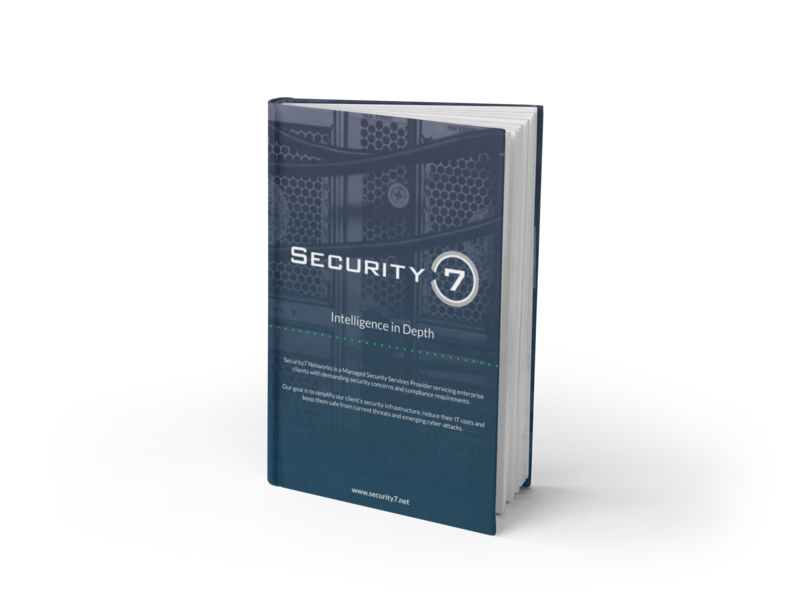 Through a mix of data collection, report generation and notifications, Security7 Networks delivers a service that not only keeps your network systems safe but provides the peace of mind you need to focus on your day to day business operations. "We have been using Security 7 for over 4 years now and I can confidently say they are the best in the business. They are always available to help when in crisis mode or low level issues. I have not run into one issue that they have not been able to provide prompt support for. They go above and beyond giving advice or support on each and every call I have made to them. I recommend them to any size business as they will find the right support for you. I manage the support of a school district including 5 buildings as well as a Town Hall with less than 50 users and the level of support is exceptional in both cases. I cannot say enough good things about this company and the people who run it and help support me. I am a customer for life!"